Diy - Do It Yourself. I don't know what has happened.. I am always messing about with paint, spray paint and loads of DIY at home. I am full of ideas waiting to explode on you all. For Mid-Week Wednesdays, there will be no Face of Stefy and no Voice of Stefy but instead I give to you this quick and easy DIY that I wanted to share with you all. Turn any old or rusted ornament or holder into a brand-spanking new shiny New thing! 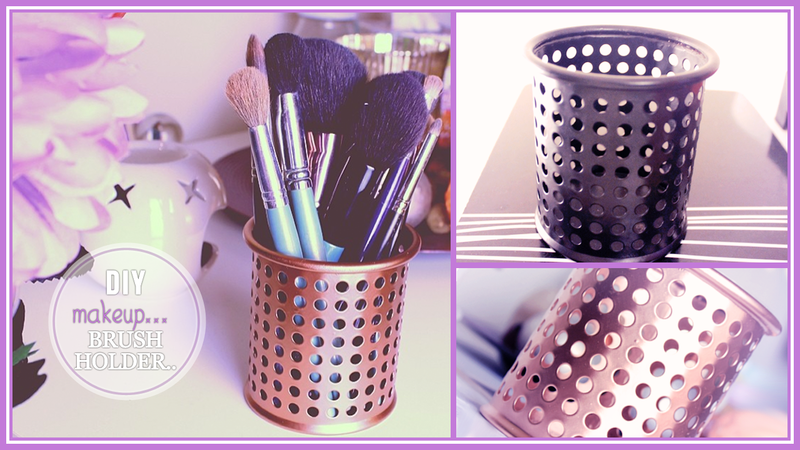 I can't believe how lovely my new Makeup Holder is. I bought this black one for 99p and I had bought it for this purpose but took a couple of weeks to get onto the cause. I love how it turned out and I'm dying to see what you all come up with! Send me any DIYs or Recreations you have done as i'd love to see them! Make sure you LIKE, SUBSCRIBE AND COMMENT if you want to see more DIY Videos.